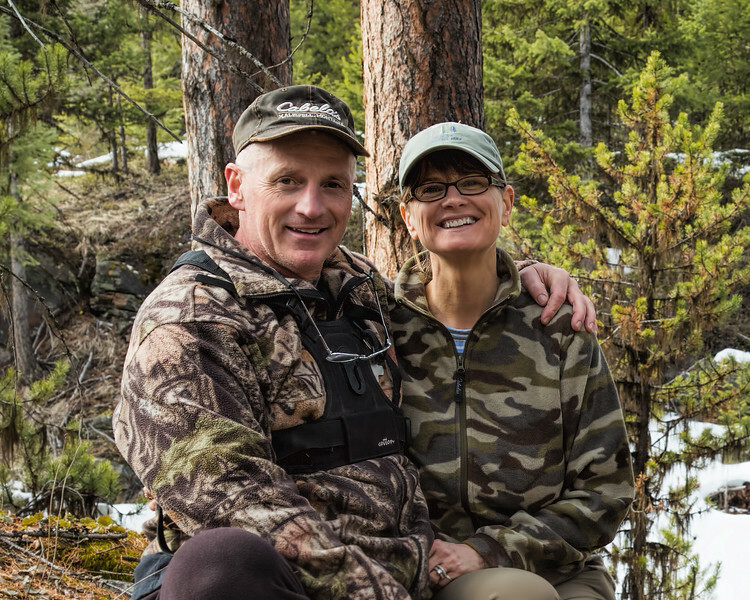 Brett and Lisa are a wildlife photography team from Marion, Montana. Brett is a retired personal trainer and Lisa is a retired school teacher. They enjoy photographing mostly in National Parks and other public lands. Brett has been a wildlife photographer for many years. Being a retired personal trainer, Brett is able to stay in good physical condition and this helps him carry around the 40 pounds of gear to get the job done. He has formed a business partnership with his wife Lisa. Lisa is the main "business" person as well as marketer and all the other things Brett cannot do while he is in the field. There is also a plan to work on some children's books using Lisa's 30 years of teaching experience. They firmly stand by their ethics and do not "call" or "bait" wildlife in any way. They also DO NOT photograph animals in captivity and do not sell images of injured animals. They have a great respect for the subjects they are fortunate enough to photograph and do their very best to always put the animal first. They are also very adamant about keeping the locations private in order to protect the subjects of interest. So, please, do not ask "where did you take that picture?". It's all about the animal's ability to survive and reproduce and if exact locations are given, it can put the wildlife at great risk. Brett and Lisa will not take that chance. They also try VERY hard to not present wildlife images with any sort on human element included. However, on a rare occasion, there may be one that does have that human element. Those images are placed in a gallery of their own.